In this article, we will discuss some effective hand skin care tips. Hands are used constantly throughout the day and our hands skin is always exposed to our surrounding and environment. We usually ignore hands skin and do very less for them. As a result, hands skin gets cracked and dull. You can have soft and healthy hands if you take little care of hand skin. Hands skin is thinner as compared to skin on rest body parts. Also, it is not as sensitive as elsewhere on body. 1. Clean your hands every time they get dirty using a gentle hand wash or soap containing glycerin. Rub your hand palms properly but only rub the back side of the palm in case it is dirty. Wash off the soap properly from the hands skin as soaps residue left on the skin tends to dry it out and may irritate the skin in some cases. 2. Moisturize :- Always try to keep your hand skin moisturized. Moisturizing the skin keeps the skin healthy and wrinkle free. After you wash your hands with soap, make them wet again by dipping in water. Take some salt and scrub the hand skin gently to remove the top dry or dead skin. Wash off with water properly and dry out your hands using towel. Apply your favorite moisturizer to your hands skin. Hands skin is thin so it needs to be moisturized after some time intervals. This will ensure that your hand skin stay healthy, young and soft. 3. Always wear gloves to protect hand skin from environmental pollutants and sun rays while you go out to do your daily activities. Hand skin gets affected quickly as it is thinner. So, protect it by covering it properly to ensure good hand health. 4. Sunscreen :- UV rays from sun breaks the cells and stimulates the aging process in the skin if it is over exposed to the sun rays. So, it is very important to protect your hands by applying sunscreen on your hands skin before you go out. 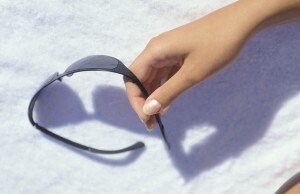 Sunscreen (SPF 15 or more) should be applied 15 – 20 minutes prior to going out. Also, hands massage is very useful for skin health. Take some lemon juice along with some rose water. Add some glycerin to it and mix them well. Give a massage to your hands using this solution. This will make your hands skin soft and healthy. 5. Avoid the use of extremely hot water to wash hands. Use of hot water will make your hands skin dry. If needed, use warm or cold water for the purpose. 6. Take 1 teaspoon of olive oil and 1 teaspoon of honey. Mix them properly and apply it over your hand skin. Cover your hands with plastic or wear plastic gloves. Then wrap both hands with cotton cloth or gloves and keep it for about half an hour. The body heat will make this mixture to get penetrated to the inner layer of the skin and will make skin healthy as honey is very good for skin. 7. Take some milk on a container and put it in the microwave for about 1 min. Ensure that it should not get heated up much. Dip your hands in the container and keep dipped for 4 – 6 minutes. Take out and softly clean with cotton. This will make your skin fairy and hydrated. 8. For proper hand skin care, keep your favorite lotion or cream along with you and apply it whenever you get little time. This will ensure good health of hand skin. 9. Take 2 tablespoon of olive oil and some lotion that contains vitamin E. Add small amount of sea salt to it and mix it properly to form paste scrub. Apply this paste on your hands and nails are rub softly for some time. This will remove all the top skin layer containing dead cells unveiling new younger skin. Then apply moisturizer or lotion to the hands. 10. Boil a potato and mash it properly. Add 2 teaspoons of honey and 2 teaspoons of milk to the mashed potato and mix them well. Apply this mixture over your hands and massage for softly for some time. Leave this mixture on for about 15 – 20 minutes. Wash off your hands using mild soap. This will make your hand skin healthy. 11. Take a cucumber and extract some juice out of it. Take some almond oil and some amount of melted cacao cream and then mix them well. Apply this mixture over your skin and massage slowly for some time. This will nourish your skin making it glow. At the end, Hand Skin is as important as other parts of the body. 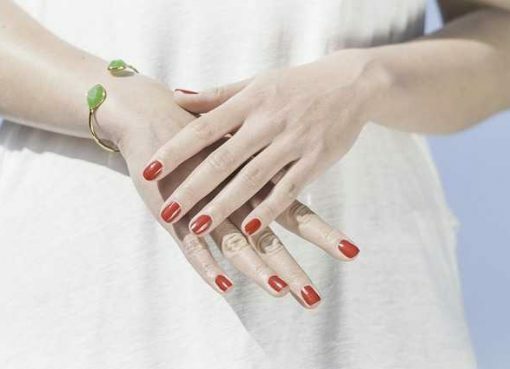 So, follow these hand skin care tips to get soft, healthy and beautiful hand skin.